You think you lack talent? Take a look at a lot of the super high achievers who have much less talent than you. God has put in you everything you need to achieve all he has in store for you. It is not a coincidence that you are reading this blog post. Many people have prayed that the right people will be drawn to this information and I pray often that it will help you enormously. Paul Orfalea was born in Los Angles of parents who were Syrian Orthodox Christian. He had learning problems in school and ADD. Not a great way to start life. He was labeled a failure at an early age. But like many other people who have achieved great things in life, he found confidence and was able to work his way out of a life of mediocrity. Now he gives millions of dollars to charities and schools and helps many people. Orfalea decided to start up his own business while he was attending USC. With a $5,000 bank loan co-signed by his parents, Orfalea founded Kinko’s in 1970. His first store was a 100 square foot space adjacent to a hamburger stand in the Isla Vista neighborhood of Santa Barbara, California, rented for $100 a month. Orfalea began selling notebooks, pens, pencils, and the services of a copying machine at 4 cents per copy. Within ten years, Kinko’s grew to a network of over 80 stores across the country. Kinko’s spread across the United States and internationally, and ultimately to more than 1,200 locations and 23,000 employees in 10 different countries. Orfalea put a high value on employee satisfaction, and Fortune Magazine named Kinko’s one of the best places in America to work for three years in a row. 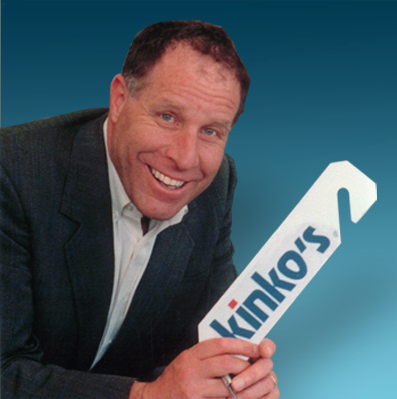 Kinko’s was acquired by Federal Express in 2004, with Orfalea no longer involved in the company’s business management. The company presently does business under the name FedEx Office. to ignore. where Resident Evil really shines is the multi-player.